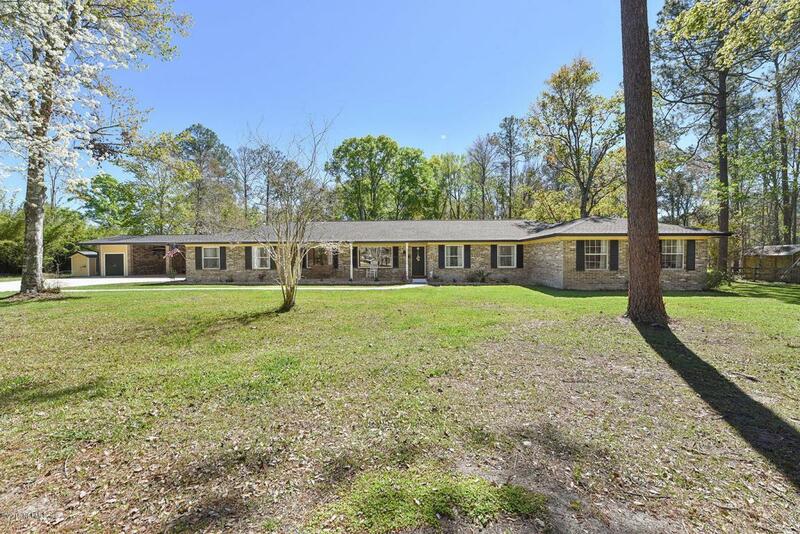 TOTALLY RENOVATED- Ranch style brick home on almost 8 acres! Home offers 2 master suites perfect for a mother-in law suite-also wheel chair accessible. Beautiful screened in Pool overlooking grounds. Bring your horses to their new home with 4 stalls- barn constructed in cement block with almost 1600 sq ft. This country living space and entertaining home is most desirable! Won't last long!